Are baby carrots grown to be so small, or are they just regular carrots that have been cut to size? Baby carrots begin as full-size, long and slender carrots. The variety that we use for our fresh, peeled baby carrots is a hybrid that combines the best qualities of more than 250 known commercial carrot varieties. Because taste is very important to us, we allow the carrot to grow almost to its full maturity before harvesting. Prior to selecting which carrots will become baby carrots, we eliminate any that are greater than 7/8-inch in diameter. The smaller carrots are then cut into two- inch pieces, peeled, polished and packaged. We use no food additives or preservatives in this process. What is the shelf life of your peeled baby carrots? If the carrots are stored at 33 to 36 degrees, they should maintain fresh for four to five weeks. What causes the white coating on carrots? Dehydration causes a white coating on carrots. When carrots are peeled, they lose some of their natural moisture barrier, begin to dehydrate and may eventually develop a white color on the carrot surface. We use no chemicals or additives that would cause the white surface. Often, you can restore that “just-picked” color and freshness by soaking the carrots in a bowl of ice water for a few minutes before serving. How are peeled baby carrots processed? To create our fresh baby carrots, we first wash and sort them for size, then cut them into two-inch pieces. Next, the carrots are hydro-cooled to 34 degrees, then peeled and polished to perfection. After that, we grade the carrots for defects, sort them once more by size, and package them up to be shipped to a store near you! There are no food additives or preservatives used in the baby carrot production process. Throughout this process, the carrots are washed in water that is treated with a small amount of chlorine. This is a common, industry-standard practice to help prevent the potential spread of food-borne pathogens. The FDA does not consider chlorine an additive, but rather a processing aid and it will normally dissipate within 24 hours. Can I freeze the carrots? We don’t recommend freezing them. If you do, blanch the carrots first. Otherwise, they will turn mushy when they are thawed. We don’t recommend it. If the carrots are still firm and crisp, you can use them for up to two weeks after the date on the bag. However, if they have become slimy, mushy, black, or have an off odor, you should not use the carrots. Do you use any GMO’s? We do not use any genetically modified organisms. Do I need to wash and peel the carrots? The specialty cut carrots (baby, chips, shredded, etc.) are pre-washed and “ready-to-eat” directly from the bag. We do recommend that you wash whole carrots. Peeling is personal preference. Where are Grimmway carrots grown? Most of our carrots are grown in California. However, we do have some fields in Colorado and Washington. What is the difference between organic and conventional carrots? 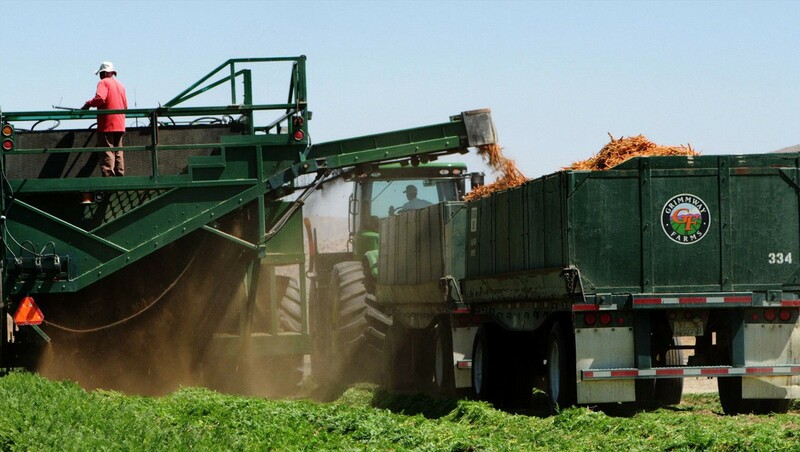 Organic carrots are grown without the use of synthetic pesticides, herbicides or fertilizers. In addition, organic fields must be free from the use of synthetic pesticides, herbicides or fertilizers for three years before being considered organic. 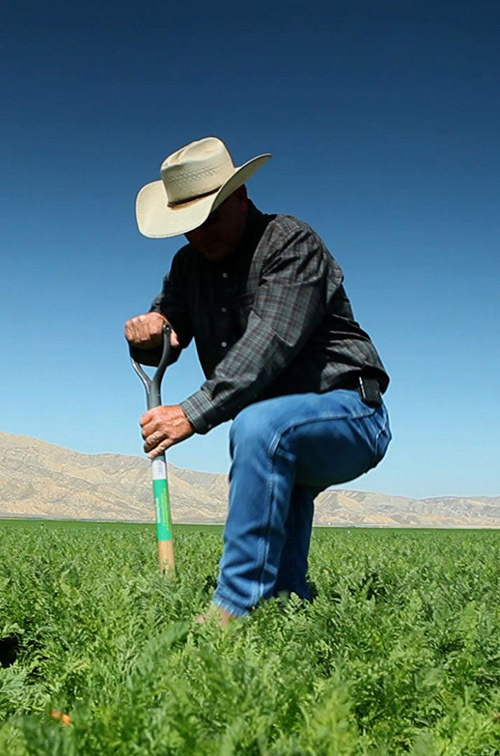 Certification includes inspections of farm fields and processing facilities, detailed record keeping, and periodic testing of soil and water to ensure that growers and handlers are meeting the standards that have been set by certifying agencies.